This is one of my favorite quotes. It speaks the truth about trying to hide from your pain. You must open the door and face grief head on if you have any hopes of living through the loss of a child. You can run, but you cannot hide. It will find you. You do it have to make the same mistakes I did trying to survive the loss of Katie and Noah. 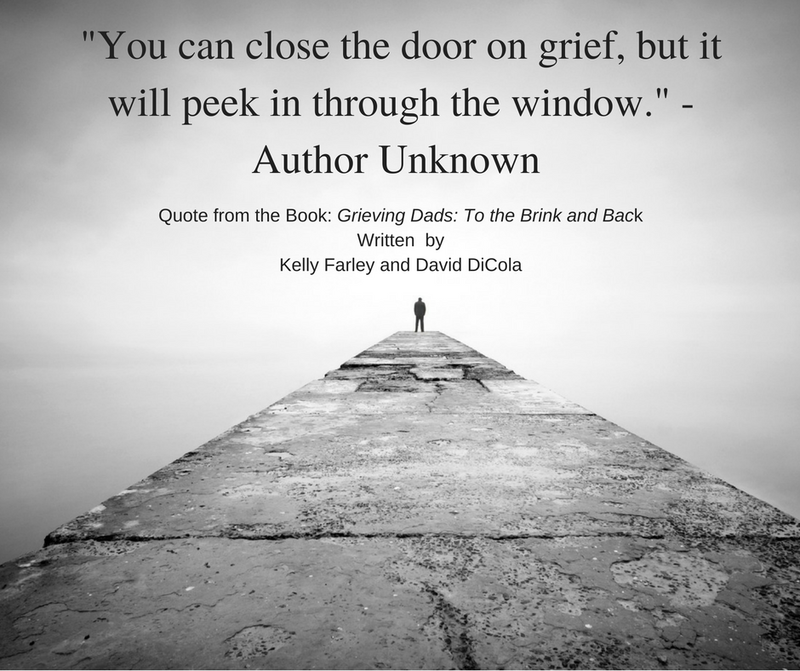 Read about and learn from my own experiences (and 100’s of other grieving dads) in my book. You’re right about that…I can feel grief coming from far away…I don’t try to stop it…I feel I have to make it my number one priority. In the past eight months, there have been many times I’ve postponed a thing or two so I can live through the moments of complete anguish. In fact, I’ve put a lot of things on the shelf…I so want to be together enough to reach for those things, but I can’t. Thank you for being here. It’s a gift from God to have this outlet. You are welcome. I am very grateful that you find this blog and my book helpful. Hearing that feed back gives me encouragement to continue doing what I am doing because its making a difference.